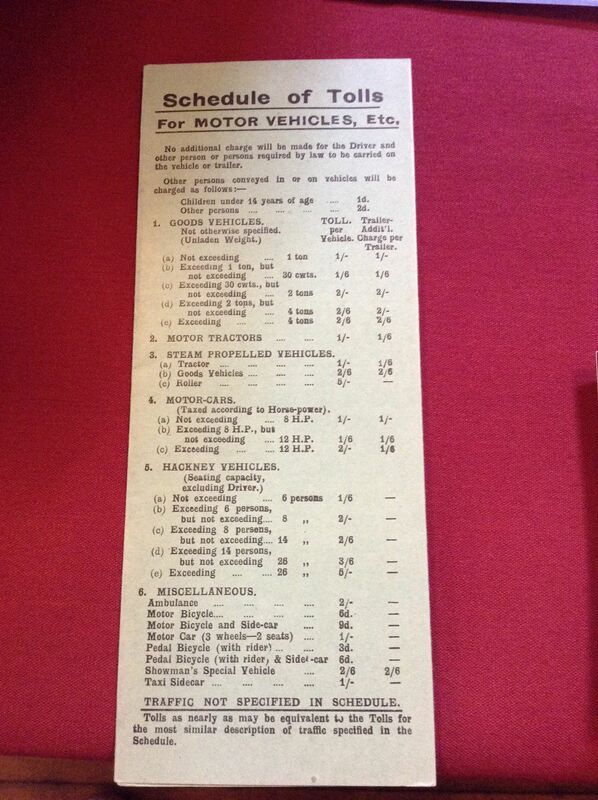 Does anyone know what the Mersey Tunnel tolls were when it opened in 1934? I've got a couple of books about the tunnel, but can't see the figures anywhere. Somewhere in the memory banks tell me and may be wrong, there was also a charge for adults and children over a certain age travelling in the vehicle. I do know that in the Easter prior to it opening, 80,000 people paid 6d each to charity for the privilege of walking through it. .
Now I know why the ferries were packed, not cheap compared with earnings. It amazes me how coarse the coinage was, in 1934 the smallest coin was the farthing which would be the equivalent of 5p now, so the cheapest thing you could buy would be 5p. Considering how poor many were back then it seems unrealistic that prices would jump in the equivalent of 5p steps. It was even worse in 1870 after the half-farthing was cancelled, a farthing then would be the equivalent of 9p. 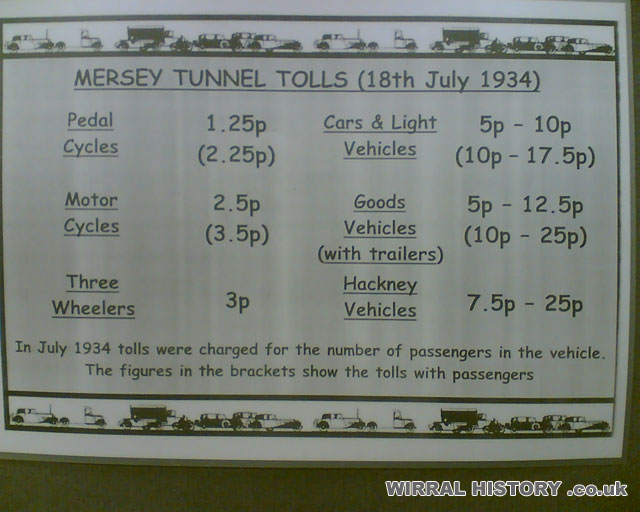 The agreed tunnel tolls were increased sharply by 40% in 1933 (Mersey Tunnel Act 1933) before it opened. Last edited by diggingdeeper; 21st Sep 2018 4:27pm. Thanks for the quick replies, everyone - very helpful info. bert1, where did those prices come from? I always thought the penny was represented by a "d" not a "p" in 1934. £. s. d.
It's done that way I assume, so not to confuse young whippersnappers born after 1971 and the bewildered born many years before. Last edited by bert1; 22nd Sep 2018 5:09am. Can't download the .jpg above. Is this what it shows? That's interesting ... they charged 1d extra for each person under 14 in a vehicle and 2d for over-14s. I've never heard that before - I thought the tolls were always per vehicle.